Difference between revisions of "And All That Could Have Been (halo)"
'''''And All That Could Have Been''''' (also known as '''''[[Halo numbers|Halo 17]]''''') is a professionally recorded live performance from the [[Fragility 2.0]] tour of 2000. It was released on CD, DVD and VHS on January 22, 2002. Its original release date was December 11, 2001, as shown on various teaser ads running in the months leading up to its eventual release. '''''And All That Could Have Been''''' (also known as '''''[[Halo numbers|Halo 17]]''''') is a professionally recorded live performance from the [[Fragility 2.0]] tour of 2000. It was released on CD, DVD and VHS on January 22, 2002. Its original release date was December 11, 2001, as shown on various teaser ads running in the months leading up to its eventual release. 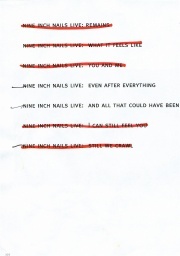 A promotional website (now defunct) for the release was set up at [[andallthatcouldhavebeen.com]]. 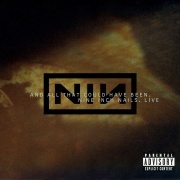 The album, named after "[[And All That Could Have Been (song)|And All That Could Have Been]]" from [[Still]], went through many possible names, all lyric excerpts from [[The Fragile (halo)|The Fragile]][http://www.flickr.com/photos/10729782@N03/4637750807/in/set-72157624007552825/]. 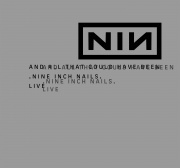 The album, named after "[[And All That Could Have Been (song)|And All That Could Have Been]]" from ''[[Still]]'', went through many possible names, all lyric excerpts from'' [[The Fragile (halo)|The Fragile]]''[http://www.flickr.com/photos/10729782@N03/4637750807/in/set-72157624007552825/]. The material used in this release was taken from multiple shows and edited together to seem like one performance. The video footage was filmed throughout the tour and the audio was taken from four or five shows[http://theninhotline.net/archives/articles/manager/display_article.php?id=145]. The film was directed and edited by [[Rob Sheridan]]. The Deluxe CD version includes ''Still'', a CD of stripped down renditions of old and new songs, as well as several instrumentals. The DVD release also features alternate camera angles for "Gave Up", "La Mer", "The Great Below" and "The Mark Has Been Made" on the first disk; a photo gallery and a commentary on stage setup by Bill Viola on the second disk; and morphing menus on both disks. The menus are also accompanied by several different dark ambient music pieces recorded specifically for them. DVD also features alternate camera angles for 3 songs on 1st disk, a photo gallery, a commentary on stage setup by Bill Viola on 2nd disk and morphing menus on both disks. It was released in 2 separate versions: while stereo sound is the same on both editions, 5.1 surround sound differs - one encoded in DTS and another in Dolby Digital (the latter is more common); this difference is generally indicated by sticker on front of the package. It was released in 2 separate audio versions: while stereo sound is the same on both editions, 5.1 surround sound differs - one encoded in DTS and another in Dolby Digital (the latter is more common); this difference is generally indicated by a sticker on front of the package or the back of the slipcase where either a Dolby or DTS logo is present in the lower left hand corner. It is probably safe to assume that the photo used for the cover of the CD and the inner cover of the DVD is also from the bomb shelter, as it appears to be a blurred image of rusted metal. An additional Easter Egg not on the "Beneath The Surface" menu is an additional wide shot of "Gave Up." To get to it, play "Gave Up" on disc one and near the 26:58 mark press enter on your remote. An additional Easter Egg not on the 'Beneath The Surface' menu is an additional fourth wide shot angle of "Gave Up." To get to it, play "Gave Up" on disc one and near the 26:58 mark press enter on your remote. This angle is not hidden and appears on the the DTS release's supplemental content page, this release does not use the multiangle view. From David Carson's book "Trek". This image shows alternate titles that were considered for Halo 17. And All That Could Have Been (also known as Halo 17) is a professionally recorded live performance from the Fragility 2.0 tour of 2000. It was released on CD, DVD and VHS on January 22, 2002. Its original release date was December 11, 2001, as shown on various teaser ads running in the months leading up to its eventual release. A promotional website (now defunct) for the release was set up at andallthatcouldhavebeen.com. The album, named after "And All That Could Have Been" from Still, went through many possible names, all lyric excerpts from The Fragile. The material used in this release was taken from multiple shows and edited together to seem like one performance. The video footage was filmed throughout the tour and the audio was taken from four or five shows. The film was directed and edited by Rob Sheridan. The Deluxe CD version includes Still, a CD of stripped down renditions of old and new songs, as well as several instrumentals. "There was some bomb shelter built, apparently in the '60s Cuban missile crisis. And I asked the real estate guy what it was as we were walking by, and he goes, 'It's something to do with the sewage system.' I was, O.K. ; that's fine. I finally went down there, and it was this old rusted circular thing, and two beds, and very kind of creepy and weird. And also, surprisingly, it was done in kind of a cheap metal, and it had completely rusted through, and water everywhere, and spiders. And I thought, you know, what were they thinking? You'd think maybe cement, possibly, or something. 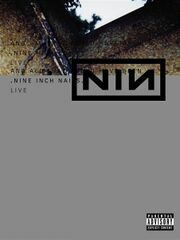 But anyway, I used this for a cover for the Nine Inch Nails DVD, and I've also now fixed the bomb shelter with duct tape, and it's ready." Previous release - "Things Falling Apart" Halo number: 17 (with Still) Next release - "The Hand That Feeds"